Taiwan’s Democratic Progressive Party (DPP) has condemned the deportation of 32 Taiwanese to China from Malaysia. This incident follows another in April where 45 Taiwanese were forcibly deported from Kenya. All deportees are charged with telecommunications fraud. The DPP said that Taiwanese nationals accused of crimes abroad should be sent back to Taiwan and that unilateral action by China was “completely unhelpful”. Beijing has increased its intimidation of Taiwan since the DPP won the elections in January. 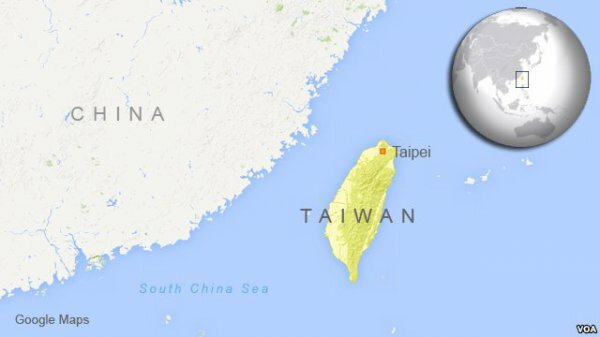 TAIPEI—Taiwan's ruling party on Saturday [30 April 2016] strongly condemned the deportation of 32 Taiwanese to China from Malaysia on suspicion of telecommunications fraud, and the outgoing cabinet said Malaysia had acted "under pressure" from Beijing. The case comes weeks after 45 Taiwanese in Kenya, in another alleged telecom fraud case, were forcibly deported to China, an incident which also drew protests from Taiwan. Taiwan's cabinet said in a statement it had tried in vain to have the 32 suspected Taiwanese sent back to the island, but "under pressure from China", Malaysia deported the individuals to China on Saturday, without elaborating. In total, 97 people were deported to China including 65 mainland Chinese, China's state-run Xinhua news agency said. The suspects are implicated in 100 cases in 20 provinces, accused of crimes related to feigning to be public security authorities. "Since all victims are Mainland Chinese and at present, it appears no Taiwanese were scammed and in addition, because these cases involve organised crime, China requested Malaysia send back all 97 victims to Mainland China to ensure smooth investigations, stolen goods are recovered, justice is administered according to the law and the legal rights of victims are upheld," Xinhua wrote in a commentary. Overseas telecom fraud is rampant and cross-straits offenders will not be allowed to get away with their crimes, Xinhua quoted An Fengshan, the Chinese State Council's Taiwan Affairs Office, as saying. On April 15 another group of Taiwanese suspected of telecom fraud by Malaysian and Chinese authorities were deported back to Taiwan and are being held there on suspicion of committing "serious crime". China has said Taiwanese have been heavily involved in telecom fraud in China and have caused huge losses. Taiwan's ruling Democratic Progressive Party (DPP) in a statement said China's "unilateral and tough action" in the latest deportation was "completely unhelpful to bilateral relations". "Any of our nationals who commit crime abroad should be escorted back to Taiwan and face trial here," it said. The cases have strained relations between the two sides ahead of the presidential inauguration of Taiwan's Tsai Ing-wen of the independence-leaning DPP on May 20. Beijing sees self-ruled Taiwan as a wayward province to be taken back by force if necessary, particularly if it makes moves toward independence. It wants Tsai to stick to the "one China" policy agreed upon with the outgoing China-friendly Nationalist government. Since Tsai and the DPP won Taiwan's presidential and parliamentary elections by a landslide in January, Beijing has been stepping up pressure on the self-ruled island.